Payless Variety Store has joined the list of sponsors for the 5k and a 10k race along with a 5k health and fitness walk which is scheduled for Sunday. 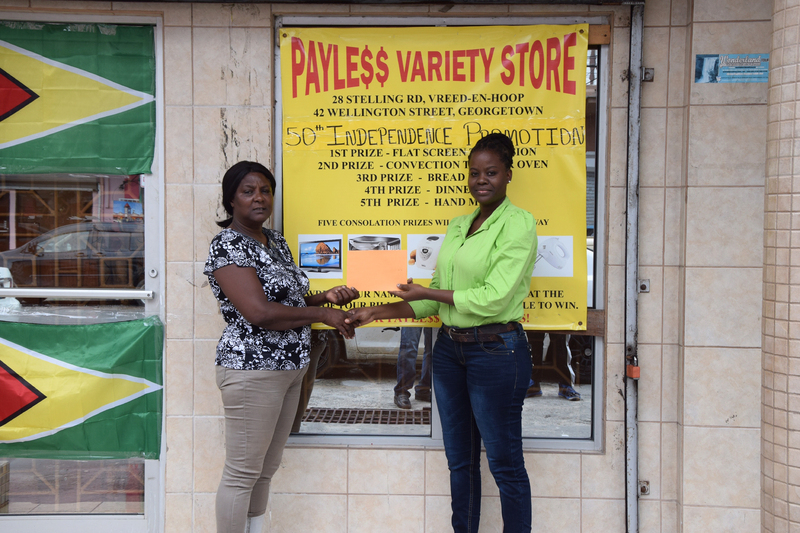 Payless Variety Store’s representative, Shonel Blackman presents a sponsorship cheque to one of the organizers, Avril Black yesterday in front of the Robb and Charlotte Streets entity. Yesterday, a representative of the company, Shonel Blackman presented a sponsorship cheque to one of the organizers, Avril Black to help offset expenses for the event. The fixture which is a collaborative effort of the Rising Star Track Club and the Ministry of the Presidency, is one of the many activities in the month of May to commemorate the Golden Jubilee. According to a release, the events will commence and conclude at the Square of the Revolution. The events are scheduled for a 16:00hrs start. Besides cash prizes for the top competitors, all participants will receive a souvenir medal and a t-shirt. Registration is $500 of the walk and $1000 for the 5and 10k races. Contact 673-8829 or 668-7891. 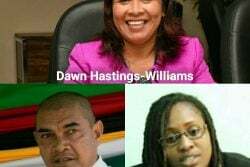 Fitness Express, GTT, Banks DIH Limited, ANSA McAL, Car Care, Wartsila, Ming’s Products and Services, Star Party Rental and Metro are some of the sponsors already on board.